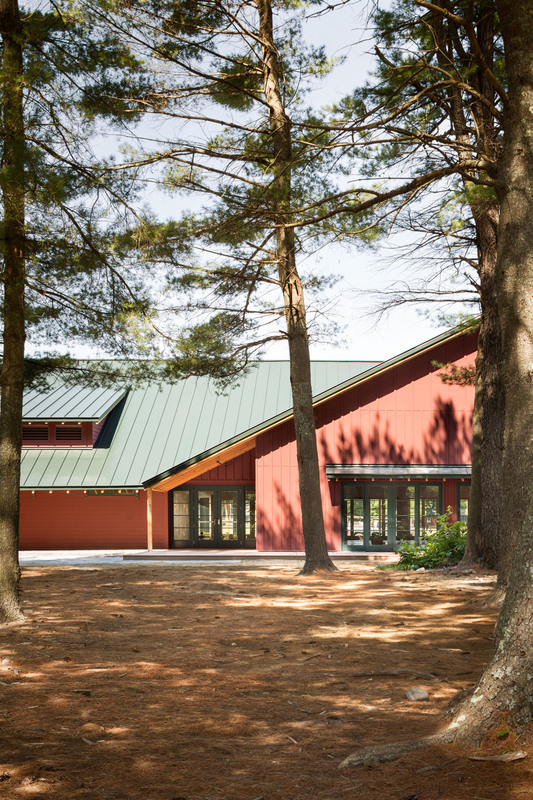 Tucked into the edge of the woods, a new gathering and performance space at the Salvation Army’s historic Camp Sebago honors the camp vernacular with a vibrant twist. 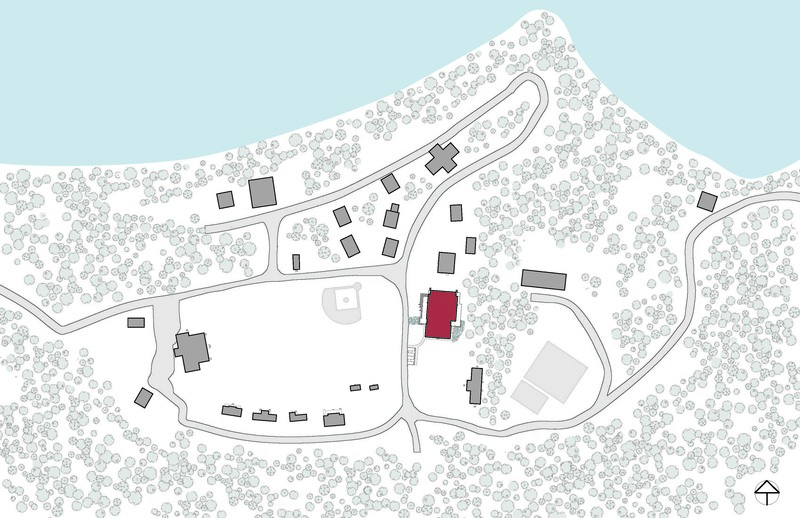 Camp Sebago is a picturesque summer camp for children on Sebago Lake that boasts an array of wooden buildings – painted red with green roofs – that trace the wooded edge of a large central clearing. 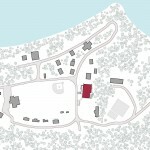 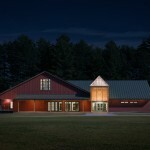 The new Sebago Hall is nestled into its surroundings as if it has existed there all along. 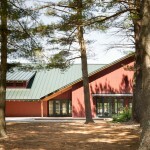 New Sebago Hall contains a 300-seat performance space, a classroom, restrooms, outdoor decks and stone plazas. 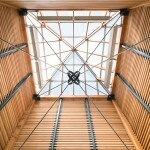 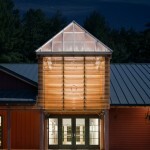 Highlighting the building’s entrance is a tower made of Douglas Fir wood slats supported by a delicate steel frame that emits a soft glow at night – a beacon of light and faith for the Salvation Army. 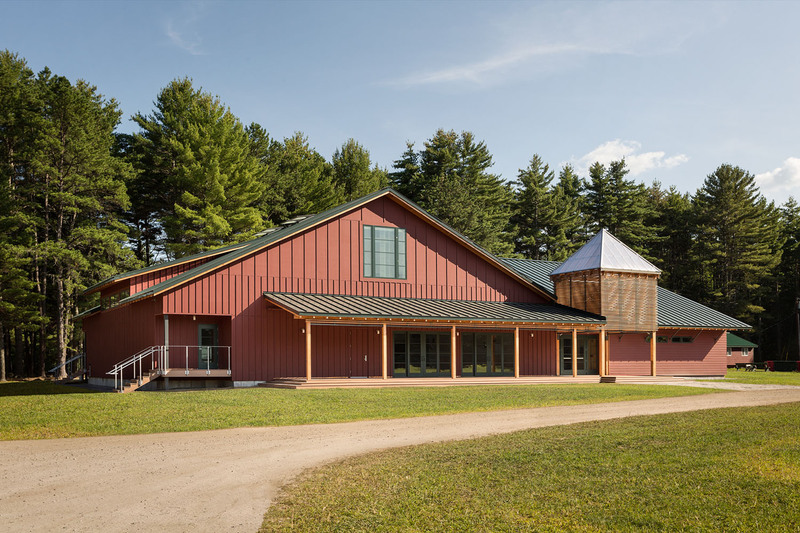 Red board and batten siding, a green standing seam roof and exposed rafter tails connect the new building to the long-established camp that surrounds it. 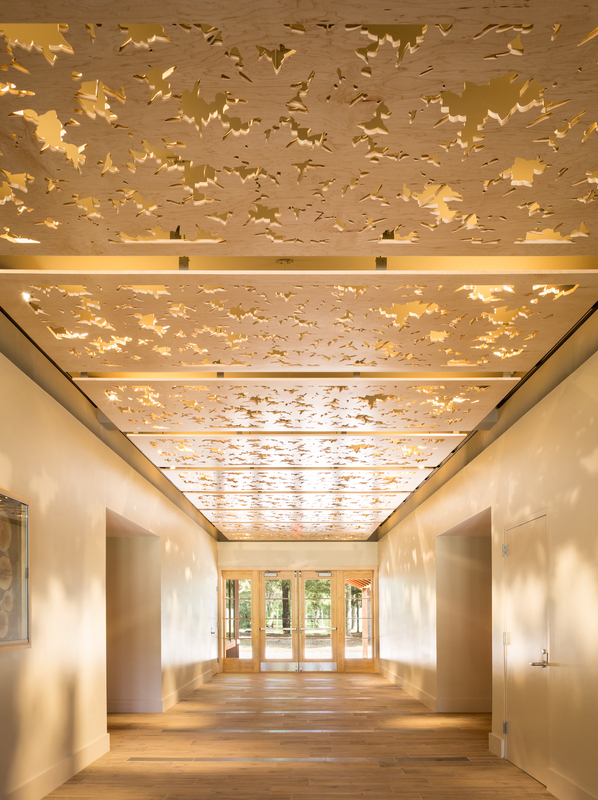 The entrance into the main hall evokes a stroll down a sun-dappled wooded path as light filters through leaf-cut maple ceiling panels above. 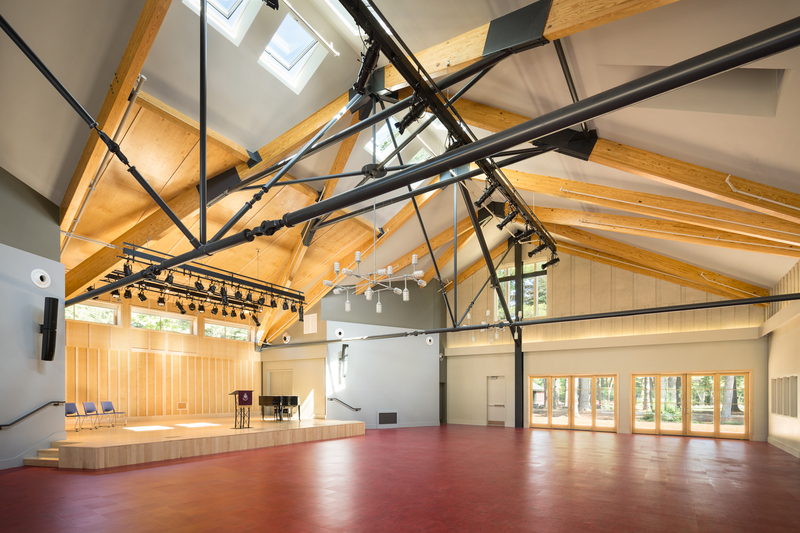 Because the space is used not only for worship but also play, finishes were carefully considered for their durability as well as beauty. 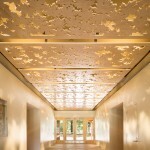 The tile floor mimics distressed wood paths found on hikes through the forest. 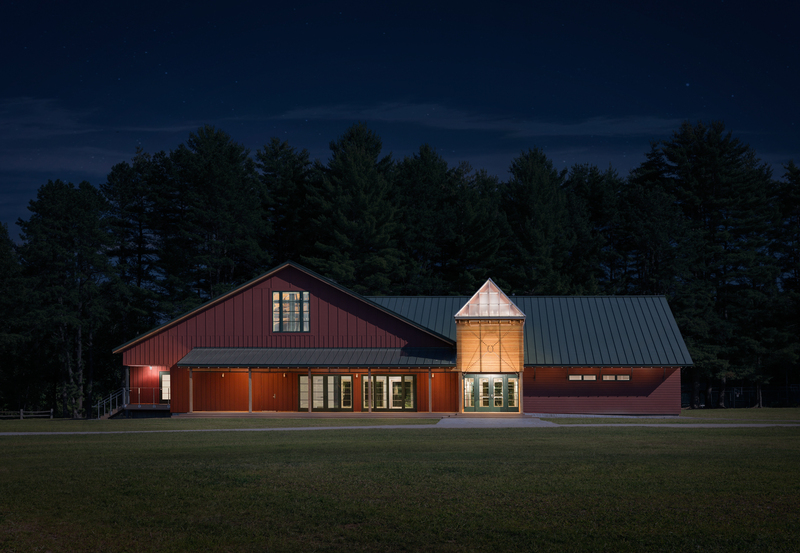 In the bathrooms, crescent moon shapes carved into the doors give a mischievous nod to the traditional outhouse, while custom red concrete sinks provide a fun pop of color in an unexpected place. 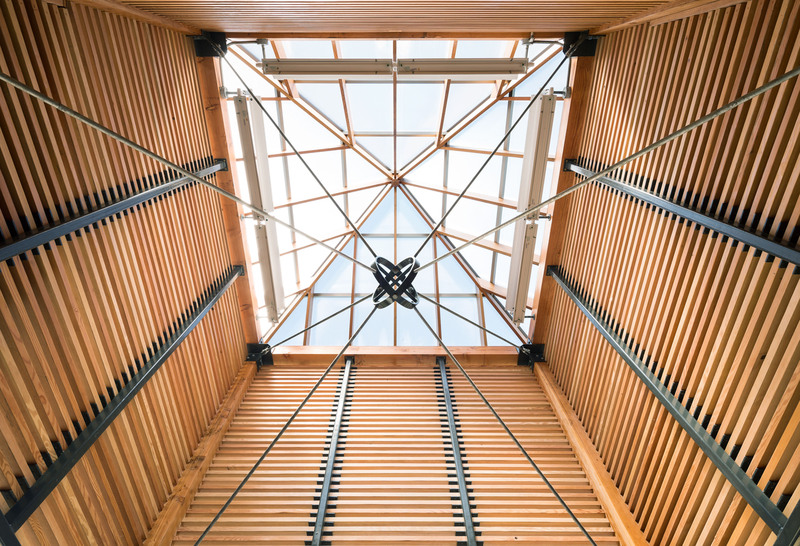 A complex, three-dimensional truss of wood and steel supports the roof of the performance space. 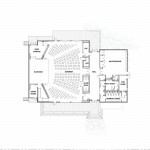 The voluminous structure creates an awe-inspiring space for worship. 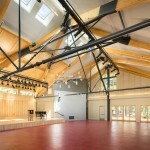 Maple board and batten wall panels surround the stage. 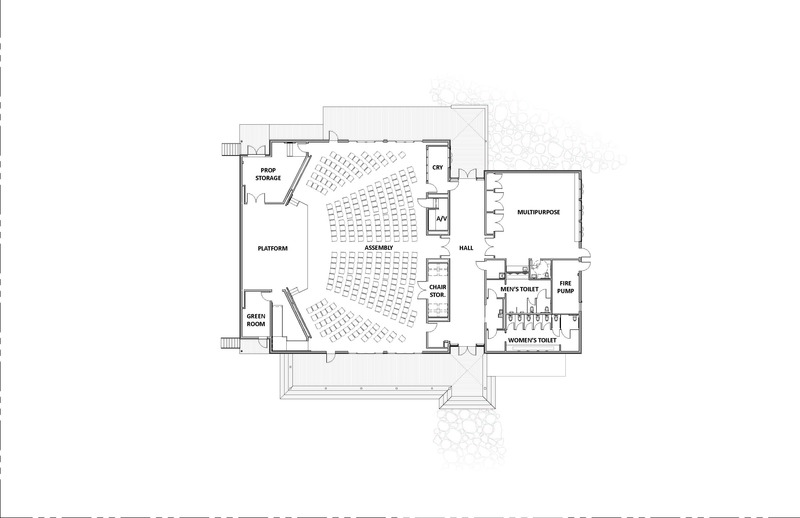 The worship space is enclosed by sliding glass doors that open onto large decks, allowing the worship space to extend outdoors on warm summer nights. 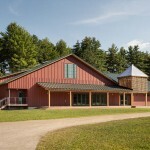 The floor is finished with red linoleum in Salvation Army red, a bit of fun for the campers. 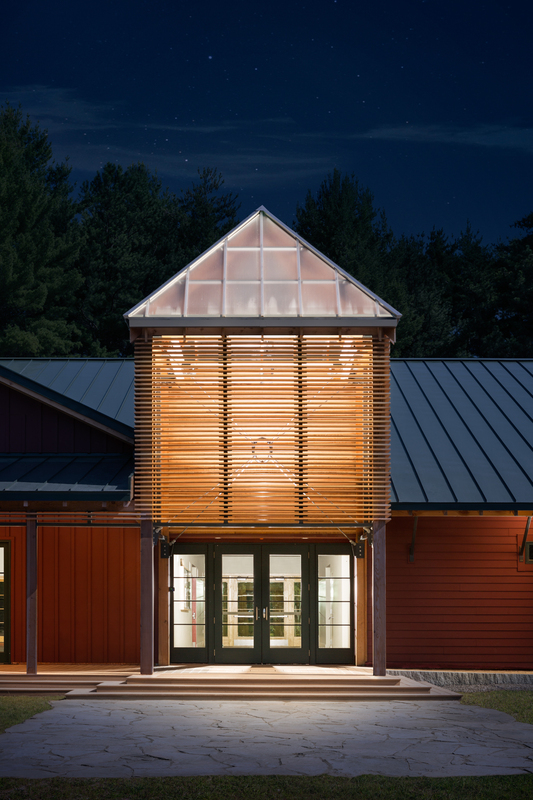 Inspired by the quintessential summer pastime of collecting fireflies in glass jars, three custom “chandeliers” were designed and fabricated for the assembly hall to honor one of childhood’s most simple and enduring pleasures.